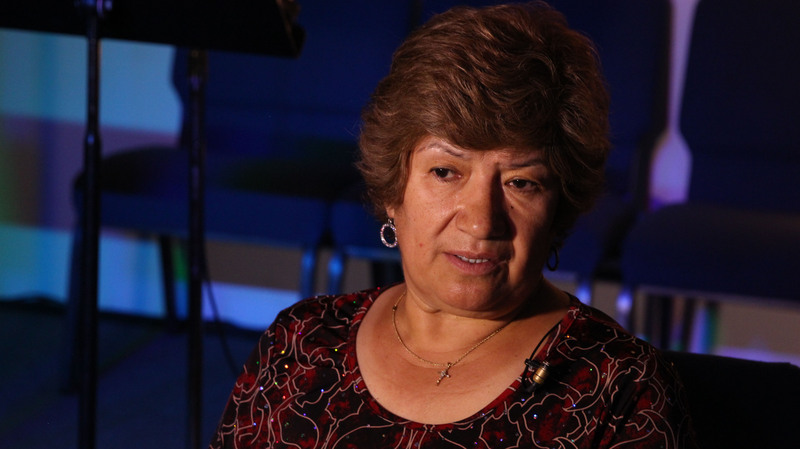 PHOENIX – When Magdalena Schwartz, now a pastor in Mesa, first immigrated to America from Chile in 1998, she played guitar for people in jail because she felt it was a way she could volunteer without speaking English. It was there where she met a woman who had been wrongfully arrested because of a language barrier with police, she said. Since then, she has led the effort to build trust between law enforcement and the Latino community. She said police departments have made substantial progress, but there’s still more to do get more Hispanic, bilingual officers working the streets. 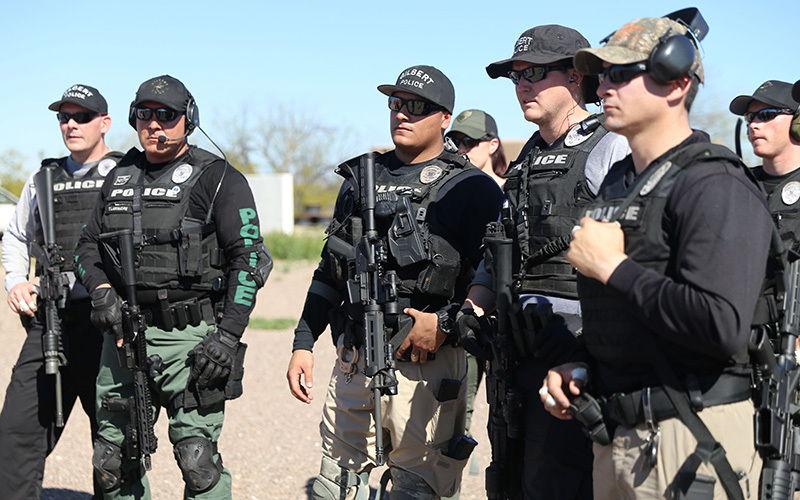 While Latinos make up about 24 percent of the population of the Valley’s biggest cities, about half that proportion – just over 12 percent – of the police officers in those cities are Latino, according to a Cronkite News analysis. The analysis included all cities in the Phoenix area with more than 100,000 residents, including Mesa, Gilbert, Glendale, Peoria, Scottsdale, Chandler, Tempe, Surprise and Phoenix. Cronkite News used population data from Census Bureau and demographic breakdowns provided by each department via records requests. Each department interviewed by Cronkite News said diversity within their police force is crucial and something they’re working to improve. “It’s super important for our officers to reflect the community that we serve, because that helps us as officers to be able to connect and also know some of the issues that are going on with our community,” said Det. Lily Duran, a spokeswoman for Tempe Police. Another metric of the Valley’s progress is its comparison to national statistics: while the Valley’s average Latino makeup is 24 percent, well above the national average of 17.6 percent, its Latino officer makeup is about the same as the national average, reported in a 2013 report from the U.S. Department of Justice. Phoenix has the highest share of Latino officers of the Valley cities analyzed at 16.9 percent, but still had the greatest disparity compared to its large Hispanic population which makes up 41.3 percent of the city. Sgt. 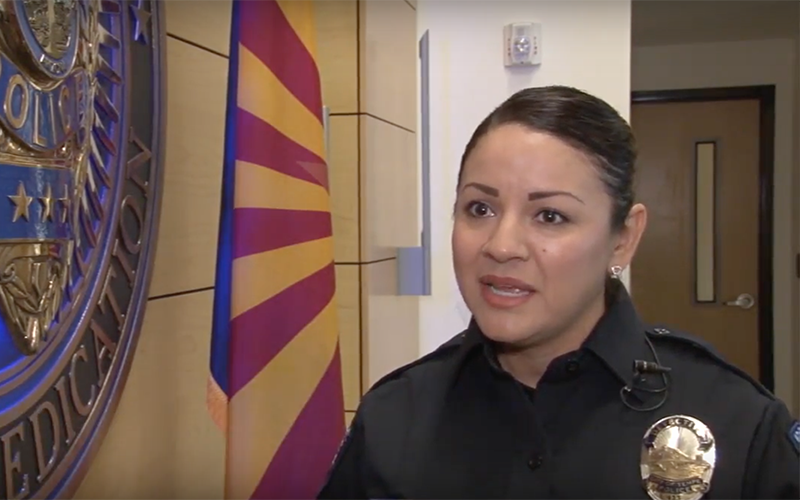 Mercedes Fortune, a spokeswoman for Phoenix Police and an immigrant from El Salvador, said the department is gearing up recruitment efforts after its hiring freeze, which lasted nearly six years. Phoenix Police Chief Jeri Williams released a statement Tuesday on the department’s Facebook page, which said community engagement and outreach was a top five “focus area” for the future. The department currently has 2,876 sworn officers and aims to have 3,125 by next year, according to the statement. 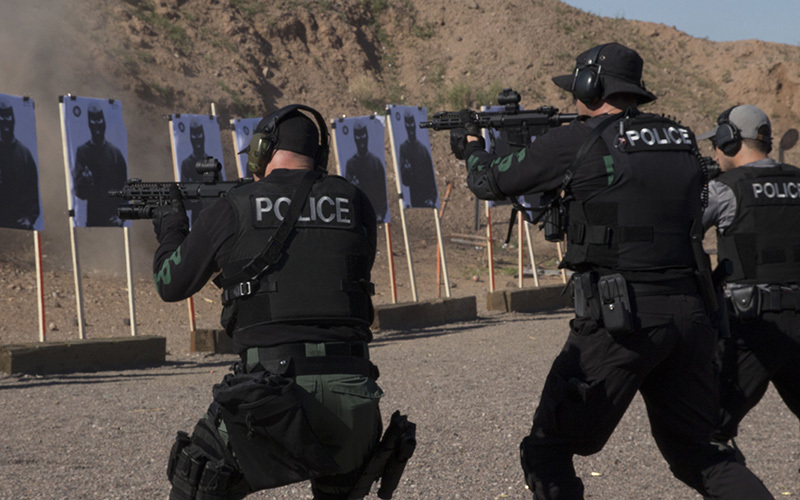 Tempe Police Department much more closely reflects its city’s Latino demographic, with 16.4 percent of their officers being Latino and the city’s Latino representation at 22.6 percent. Duran said the department has launched social media marketing campaigns targeted at recruiting minority officers. It also partners with the Mexican consulate to teach monthly classes in Spanish about legal issues, such as how to avoid online shopping scams around Christmas time. “I’m a Spanish-speaking officer, so if there’s somebody that maybe speaks a little bit of broken English, they can also divert to Spanish and I would be able to connect with them in that Spanish level in their language,” she said. Felix Herrera, a spokesman for the Consulate General for Mexico in Phoenix, said that beyond having bilingual officers, it’s important to have Latino officers who understand cultural differences as well. When pulled over, police recommend drivers to stay in their vehicles, keep their hands on their steering wheel and await instructions. Some departments, including Surprise, boost the paychecks of officers who are bilingual or multilingual. “That incentive pay allows for officers who have either already spoken a secondary language that’s identified as needed within our community or have went down and learned that language to receive that extra benefit, so it’s really encouragment for them,” said Sgt. Tim Klarkowski, spokesman for Surprise Police. While departments work to up their Hispanic outreach, Latino parents aren’t always thrilled to have their children go into law enforcement professions, Schwartz, the pastor, said. “The problem is because the parents they no have good relationship with the police department, or they no trust the police department sometimes they not encourage the children (to) apply for police officer,” she said. A 2013 University of Illinois report aimed to measure Latinos’ willingness to contact law enforcement and surveyed Latino residents in Maricopa County, as well as in Chicago, Houston and Los Angeles. Researchers found that 44 percent of the more than 2,000 Latinos surveyed said they are less likely to contact police if they were the victim of a crime for fear the authorities would ask about their immigrations status or that of people they know. In January, President Trump signed an executive order pushing local police departments to enforce immigration laws by taking part in a federal program, called 287(g) agreements. This move prompted several departments to reiterate their message that anyone could report a crime without their immigration status being questioned. 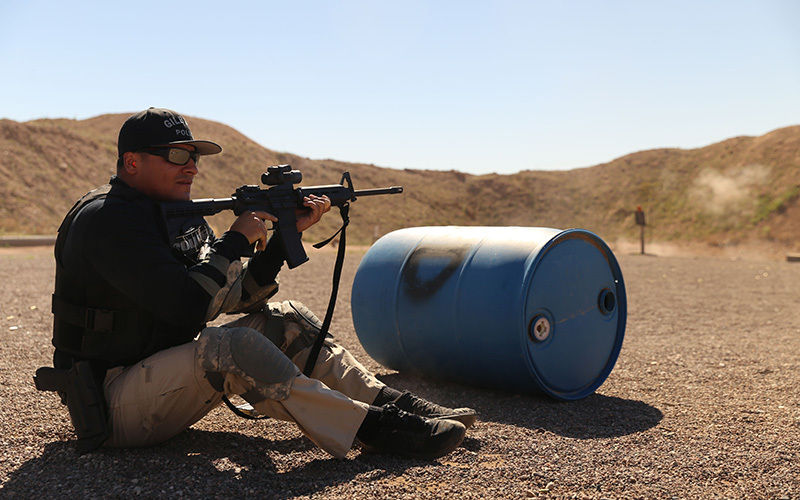 Schwartz is the president of the East Valley Christian Leaders Alliance, which has partnered with an increasing number of Valley police departments to better communication between law enforcement and the Latino community. The group, which consists of more than 20 churches, held their second annual law enforcement recognition breakfast in February to honor the departments who work with them. Last year, eight departments were there. This time, 16 police departments attended along with Maricopa County Attorney Bill Montgomery, Sheriff Paul Penzone and other officials. Crime victims regularly come to Schwartz, especially women who have faced domestic violence, who are afraid of contacting law enforcement because they are undocumented, she said. Schwartz has spent years connecting them with law enforcement and assuring them their immigration status does not matter when reporting a crime. She said now more than ever police departments need to make sure that message is clear so crimes can be properly investigated to keep neighborhoods safe.